Reducing tail bone pain while sitting. 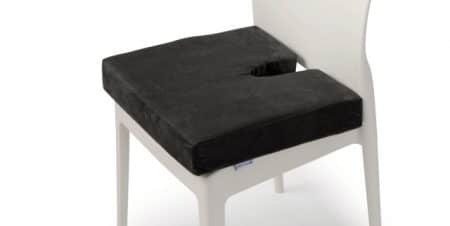 Provides pain relief from a bruised, fractured or painful coccyx. 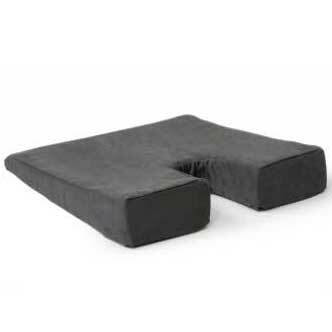 The cut-out suspends the coccyx while sitting removing all pressure around the tailbone area. Is ideally suited for pregnancy. 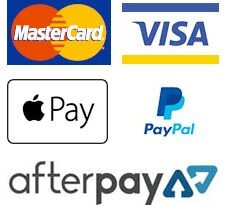 Is able to be used in the office, home or car. 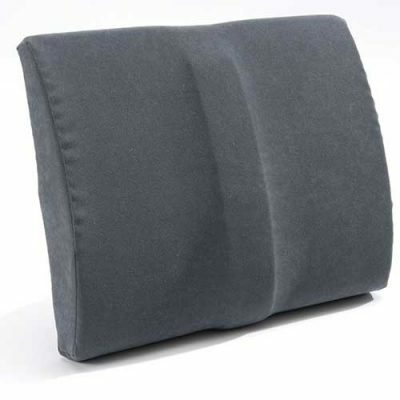 The coccyx cushion is made from memory foam which has a heavy density core to be able to support you while sitting. 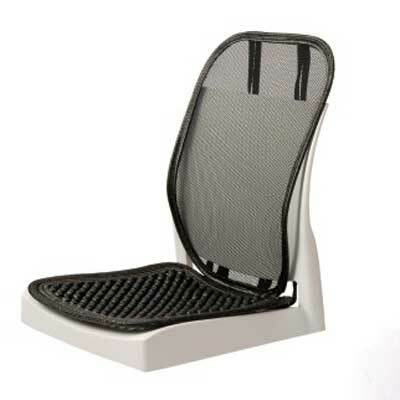 Designed to assist Coccyx and tailbone pain while sitting. Orthopedically designed to reduce pressure on the coccyx or tailbone. Cut-out suspends the coccyx eliminating painful pressure on the tailbone area. Reduce pressure on a bruised tailbone assists in relieving back pain by reducing the pressure on the spine and coccyx. Memory foam is a temperature-sensitive visco material that reacts to your body’s warmth and molds to the shape of your body – providing customised comfort and support. 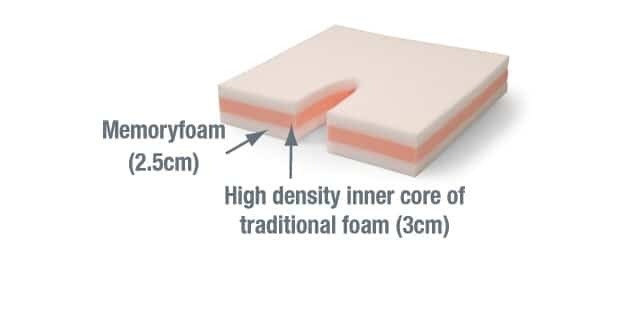 Unique inner core of high-density conventional foam protects cushion from ‘bottoming out’ under continual use. 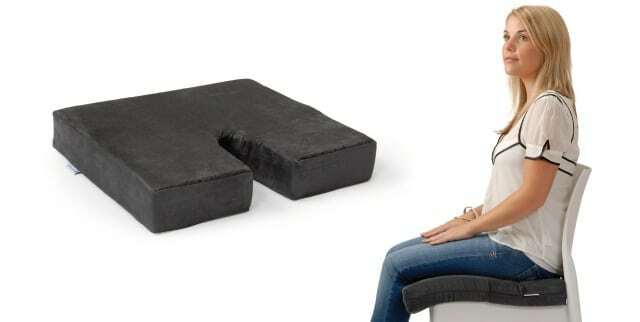 Improves the comfort of any seating surface. Absorbent & breathable surface dissipates moisture & heat. Easily cleaned. Affordable, light-weight, compact and durable. 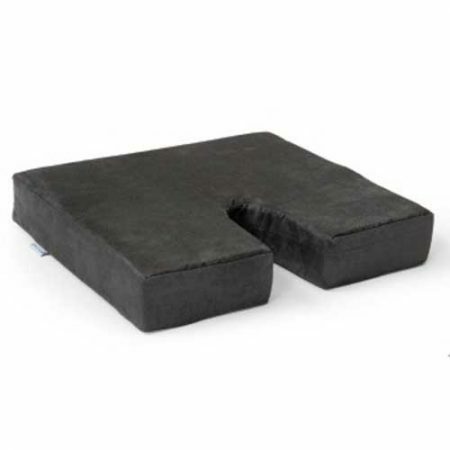 Unique Diffuser’s internal core consists of a high-density conventional foam ensuring cushion strength and support qualities are retained under prolonged sitting.